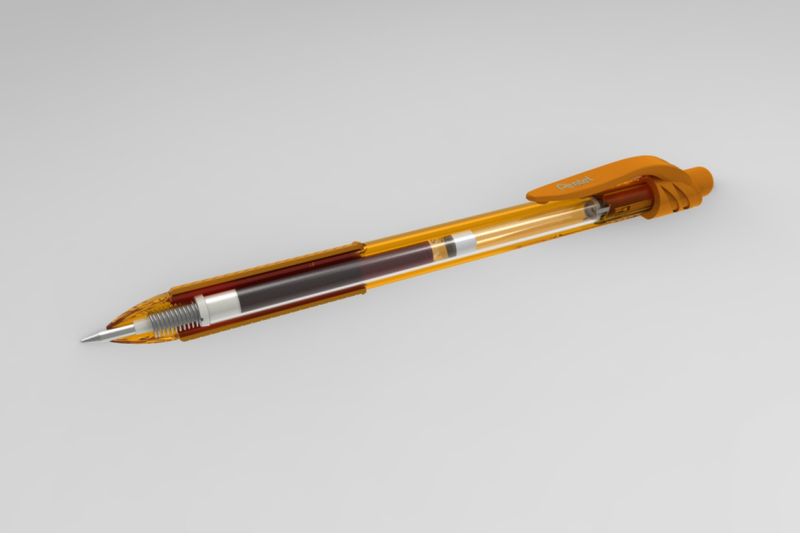 This animation shows the mechanism of a click pen. 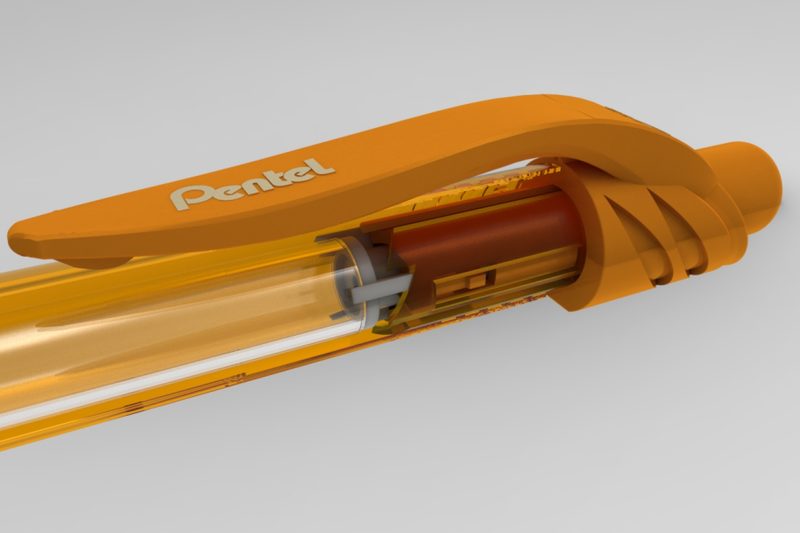 The cutaway view is a replica of Pentel’s click pen ref. BL107-F (“EnerGel” orange, ball diameter Ø 0.7 mm). Model animated in Blender using this other animation as a starting point. Spring deformation performed using Shape Keys. 🎬 A video showing this animated model is also available on YouTube (and on Vimeo as well).